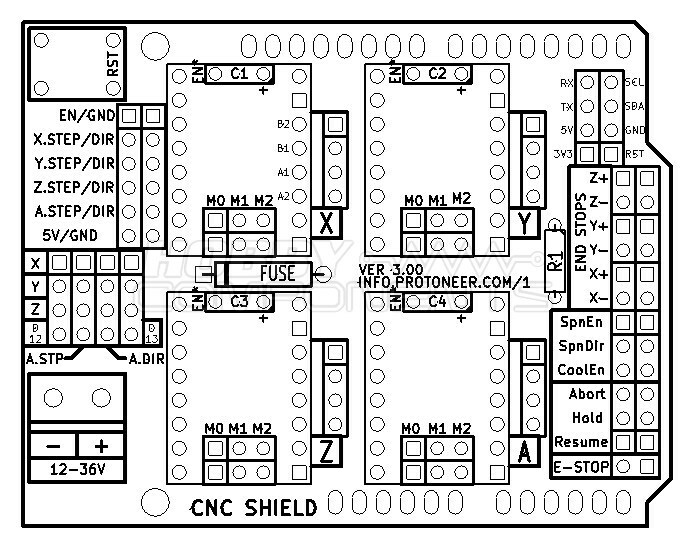 This shield (HCARDU0086) is designed to allow you to control a CNC router or milling machine from an Arduino board. 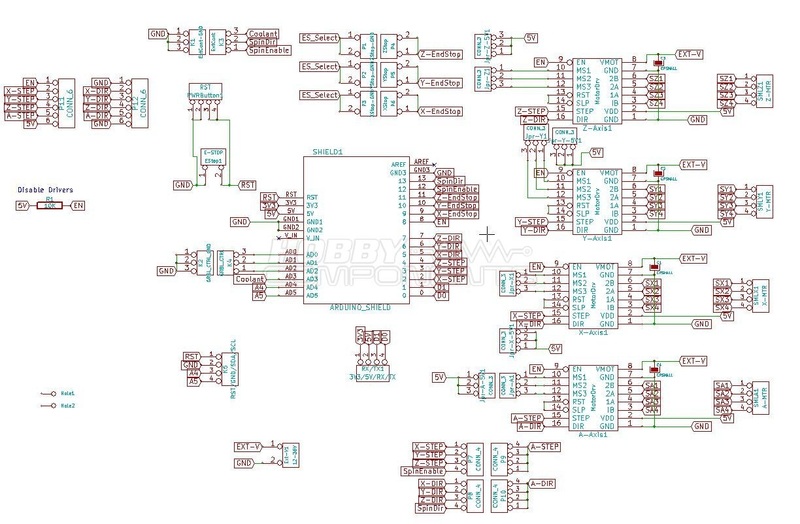 It contains 4 driver sockets which allows compatible Pololu A4988 driver modules to be inserted (see HCMODU0068 on our website) providing the ability to drive 3 stepper motor axis (X,Y, & Z) plus an optional 4th auxiliary motor. Additional connectors provide easy connection of end stop sensors and control buttons. or control inputs have been triggered via the serial port. D13 to A-DIR and D12 to A-STEP on the shield. CONSEQUENTIAL DAMAGES FOR ANY REASON WHATSOEVER.